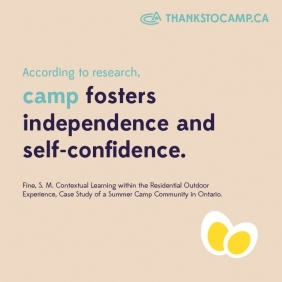 The Camper Care Assistant assists the Nurse and Doctor with camper and staff health care concerns. Provide care to our campers that reflect the standards and guidelines of the Hockey Opportunity Camp Code of Conduct. Ensure that safety and health regulations are strictly adhered to. Supervise Health Centre and medication inventory. Ensure that campers and staff with birthdays are properly recognized. Be an active participant in the camp community. Organize Camper Health Data reports for the upcoming week Health Care Staff. Work with Camp Director to ensure Health Centre is adequately stocked with supplies. Update HOC Medical database with newly collected information from Sunday Check-In. Assist the Nurse / Doctor / Nurse Practitioner with daily, bedtime and evening routines. Assist the Nurse / Doctor / Nurse Practitioner to ensure that campers and staff with specific medical needs are properly cared for. Properly and thoroughly document all visits to the Health Centre. When required, travel to the arena to assist hockey staff with any medical or first aid issues. Provide a basic overview of First Aid procedures during Orientation week and staff meetings as required. Arrange with the kitchen for birthday cakes. Maintain all First Aid Kits and Epi-Pens. Routinely fill hydration stations around camp on hot days. Handle first aid and medical problems as they arise. Daily cabin inspections and ranking. Organize cabin clean-up award at the end of each week. Assume a leadership role in the preparation, execution and follow-up of Emergency Response Procedures / Crisis Management. With the Nurse / Doctor / Nurse Practitioner and Director, coordinate the Emergency Response and Spinal Teams. Transport campers to clinic appointments and to the hospital/Urgent Care facility as required. Assist with the general camp community as time permits. Minimum 19 years of age and completing at least a three-year Nursing Program or 2-year Paramedic Program. Experience working with children of varied ages. Specific camp experience an asset. Bronze Cross or NLS preferred. Currently holding an advanced or instructor level Emergency First Aid and CPR certificate. Must possess valid G driver’s license.